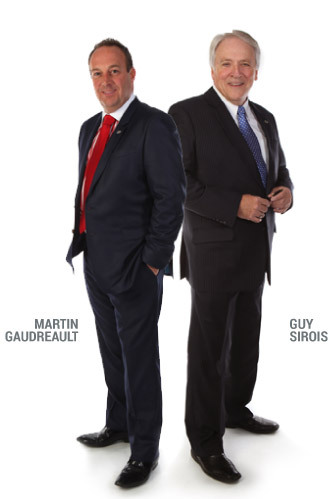 President and owner of Groupe Gaudreault, Martin is the third generation of the Gaudreault family to lead the company. Despite his young age, Martin has over 25 years of experience in the field of passenger transportation by bus. Over the years, he has developed his expertise by occupying various positions in the family business, from bus washer at the age of 13, to dispatcher, to Director of Marketing, to President in 2005. His company is characterized by family know-how. Involved in his region and close to his team, Martin is passionate about the world of transportation. A graduate of the law program at Université Laval, Guy Sirois practiced commercial and transportation law as a partner in a private office in Québec. He was a member of the Université Laval Board of Directors and President of the Alumni Association. He served as legal counsel for various associations, including the Québec Trucking Association and the Québec Bus Owners Association. On January 1st, 1999, he joined Groupe Gaudreault as Executive Vice-President. He is also a member of various boards of directors and is very active in promoting the interests of the transportation industry, notably through his participation in several boards and committees related to professional associations.